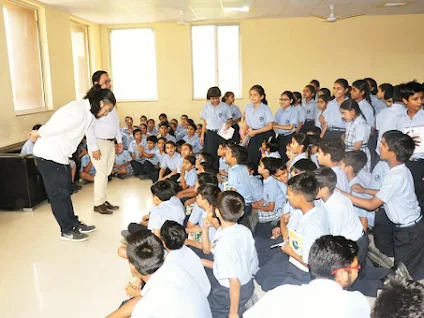 EXPERIENCE JAPAN conducted a presentation named Let’s Explore Japan with Ryo Fuwa at Golden Harrier School Sonepat on May 24th, 2018 (Thursday) from 11:30 AM to 1:30 PM. 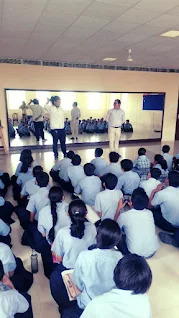 In total 60 students from classes 6th – 8th and 4 teachers participated in this presentation. In Second session almost 50 students from classes 3rd to 5th participated and played a Japanese game together. Mr. Jitender and Mr. Fuwa introduced the Japanese version of ‘STONE, PAPER, SCESSOR’. 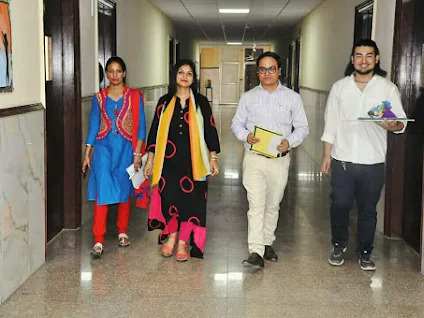 We are grateful to Mr. Amit (Principal – Golden Harrier School) and Ms. Sunita Jaimini (Japanese Language Teacher) for giving us such a wonderful opportunity to interact with their students and teachers and to share information on Japan.